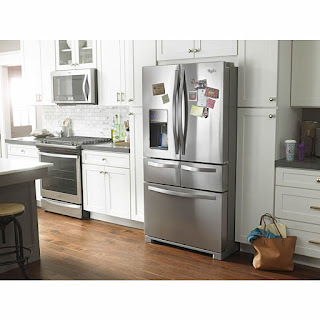 Your fridge space is in high demand & it’s the heart of your home. You need all the flexibility you need so you can keep your family’s food organized, visible, and ready to eat. This 2015 CES Innovation Award Honoree a perfect fit for your busy home. 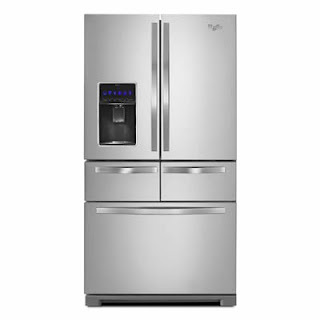 Whirlpool Double Drawer Refrigerators feature the PerfectPlaces system which has nine storage zones to help you make the most of your fridge space. There are many space-saving features like adjustable gallon door bins, tuck-shelf and small items bin help accommodate items of every size. 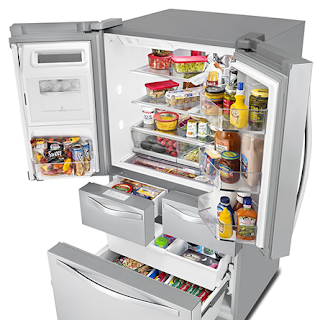 Storage solutions like the triple crisper, triple-tier freezer, and thaw setting help keep your food at optimum temperatures so they always taste great. Promote better organization in your fridge with two new self-closing, refrigerated drawers. With plenty of temperature options to offer precise climate control, the FreshFlow Produce Preserver technology will make sure your produce is always fresh. The StoreRight system is an advanced cooling technology that senses conditions in your fridge and freezer – it will automatically adapt to the umidity levels and help keep food fresh while reducing freezer burn. If you’re not convinced yet, here are some other features to love about the Whirlpool Double Drawer Refrigerator. 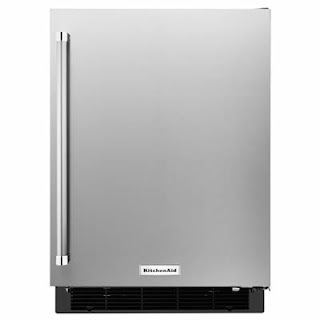 · Never run out of ice again - The dual icemaker makes more than double the ice compared to all other Whirlpool French Door refrigerators. 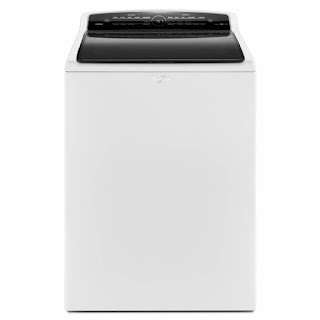 You might not always look forward to laundry day, but a good washing machine can make it a little less stressful. There are lots of main points of consideration to think about, but our team at Pocatello Electric is always available to help you make the best choice. Here’s a handy guide to help you get started when looking for a new washing machine. There are a few things to consider when it comes to where in your home you’d want your washer to be. Factors like accessibility and space should definitely come first. How many flights of stairs or how far do you have to go to do a load of laundry? Doing your laundry shouldn’t be a chore, you should enjoy the space you’re in! · stacked units usually occupy less than 33 square inches of floor space and may be more accessible to people who have difficulty bending or stooping. The High Efficiency Top Load come with all the energy and water savings in an easy to use configuration. This is the largest capacity available with superior vibration control. 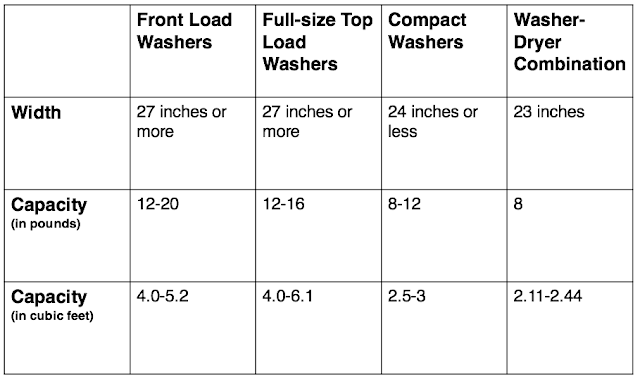 Front load washers are still popular due to their energy efficiency and convenient features. The large capacity options allow you to wash more clothes in every load. 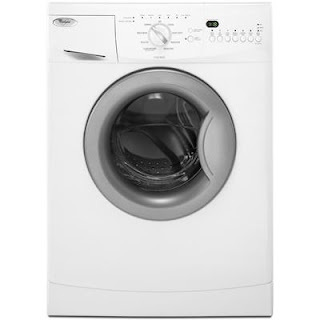 Washing machine tubs are always measured in terms of cubic feet. The larger the capacity, the fewer loads of laundry you have to do, which means more time for the things that matter most. On the hunt for a new washing machine? Browse our website for some ideas or visit us in store. Starting college can be quite scary, since most students wind up out of state. Having said that, rather than feeling like you’re always waking up in a strange place, try to create a home away from home. Your dorm may not be as big as your home, but you can definitely manage to make a room feel homey and transform it into a functional bedroom, living room & study. If you have the typical 100 square feet to play with, you should select multifunctional pieces for your space. By selecting these pieces, you can save room for other little perks! A compact refrigerator is a great solution to keeping your beverages and snacks fresh. They come in a variety of sizes and colors to fit your space and budget! Get your mini refrigerator and you’ll feel like you never left home! Another convenient appliance is a microwave oven. Today’s microwave ovens are quite multifunctional, as they can do more than just reheat your food! By getting a microwave for your dorm, you and your roommate can benefit from reheating your food if you get distracted with studying, make some popcorn if you decide to watch a movie or even cook certain foods! It really can prove to be quite useful! Microwaves come in a variety of sizes, colors and budgets. In fact, the ultimate buy would include a convection oven, toaster oven, broiler and microwave oven all in one. Yes, they do exist. You surely will appreciate having one! Now that you’re all set with your multifunctional furniture pieces and your convenient gadgets, you can begin your academic year with peace of mind. Good luck! Spring vs. Foam: Which Mattress Is Right For You? Springs are still being used because they are quite inexpensive. There is a misconception that spring mattresses are supportive and comfortable. However, they do not offer sufficient pressure point relief. There are a variety of spring mattresses in almost every price range. The firmer the mattress, the better. 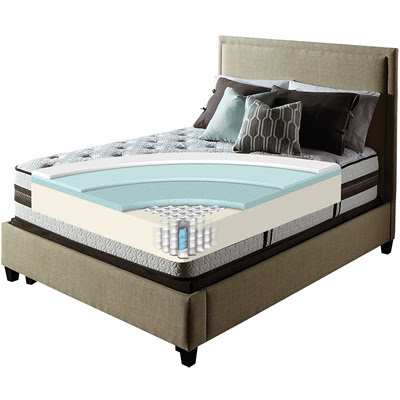 A foam mattress significantly reduces pressure points. That being said, having less pressure points will in turn cause less tossing and turning. 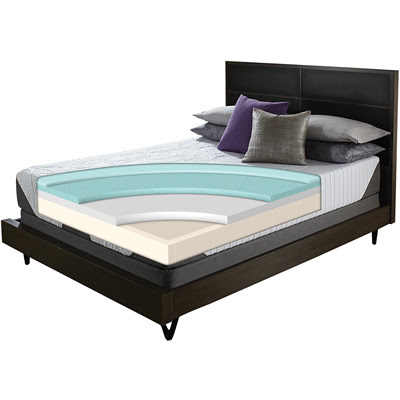 Unlike spring mattresses, memory foam mattresses do not need to be flipped. There is absolutely no maintenance in this respect. Allergies are less likely with a memory foam mattress. Dust mites can only live on the surface, and not on the inside of the mattress. Memory foam mattresses are extremely sensitive to temperature, which means that temperature will determine how long it takes for the mattress to adjust itself to your body. The colder the room, the longer it will take the mattress to shape itself. Now that you have the pros and cons for each mattress, you can evaluate your needs and make the right purchase! 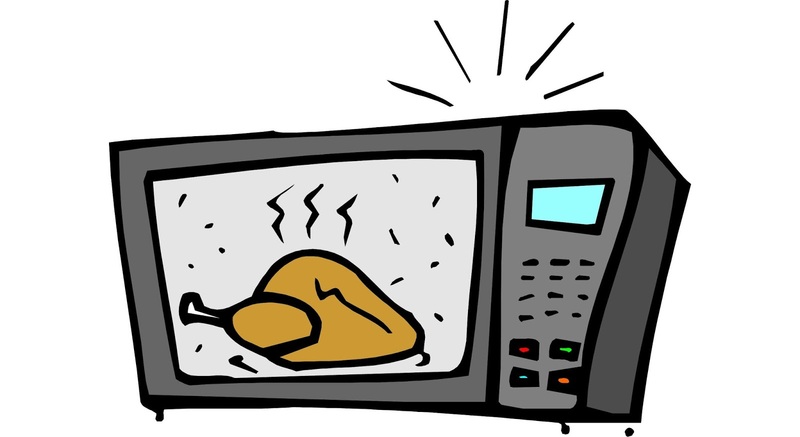 Microwave: The majority of modern microwaves feature sensor cooking. 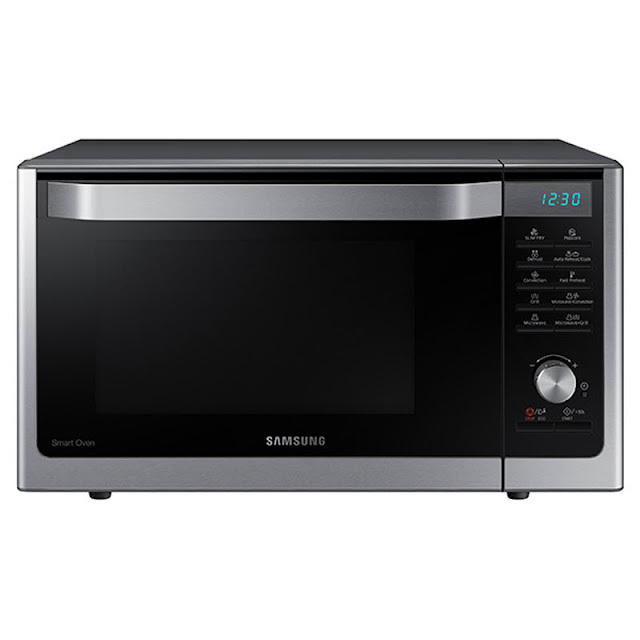 This means that the microwave uses a technology that senses moistures to determine whether food is cooking properly. Then it assesses if any adjustments in temperature need to be made in order to finish. Basically, a microwave is no longer used for its traditional duty – to reheat a meal. Vent: An over- the - range microwave oven has an alternate function, as a vent that is! Yes, you read correctly. 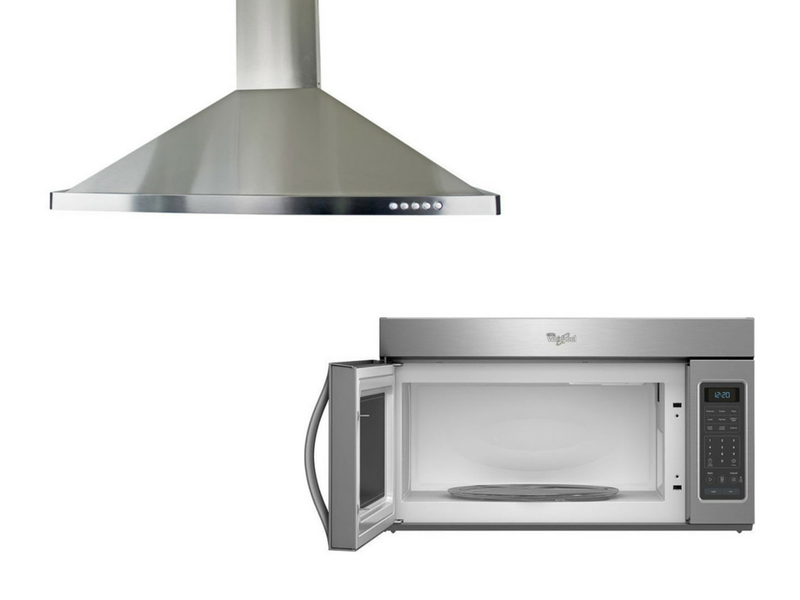 This microwave-type now has a great ventilation system that can replace a range hood. Some of the top quality vents can handle quite the strong airflow, with multiple speeds for different cooking purposes. In fact, some also automatically start when they detect too much heat. 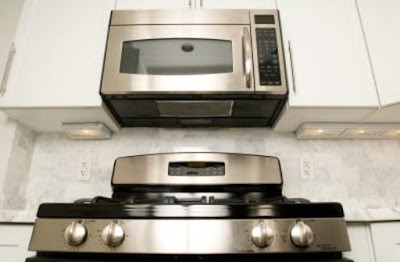 Then, once you’re done cooking, the microwave will go back to its sleek and attractive look, by hiding its vents. Design: The cooking area is known as the center stage of your kitchen, as the appliances in this area seem to take the spotlight. That being said, there are a number of designs and colors to choose from, so that you can embellish your kitchen’s décor. Obviously, if you prefer the look of a range hood, then this design will not be appealing. In that case, you can opt for a countertop microwave. In a nut shell, an over- the – range microwave will save counter space and can execute the tasks of two appliances. It offers great features and will compliment your kitchen nicely, if your heart is not set on traditional looking ventilation. Perhaps one of the latest culinary trends is best summarized in the slogan: “Food that’ll make you close your eyes, lean back, and whisper “yessss”. Snack-sized videos and recipes you’ll want to try.” Tasty enhances your cooking experience by visually demonstrating the step needs needed in a large array of recipes! In fact, here is an example of a little piece of heaven – Swedish Meatball Pasta. In a large bowl mix the ground beef, breadcrumbs, minced onion, egg, salt, and pepper until evenly combined. In a stockpot, heat the canola oil over medium-high heat. Grab about a golf-ball size of the meat mixture and roll it into meatballs. Place them into the pot, and cook them for one minute. Make sure to flip them. Add the beef broth, milk, salt, pepper, and Worcestshire sauce. Give it a stir. Bring the liquid to a boil, and then throw in the egg noodles. Stir constantly until the pasta is cooked and the liquid is reduced to sauce. This takes about 7-8 mins. Finally, add parmesan and parsley, stir, and you’re ready to serve! The month of March is green for a number of reasons. First, St. Patrick’s Day is an Irish holiday that is often associated to the color green. Next is the first day of spring, which symbolizes blooming and greenery. 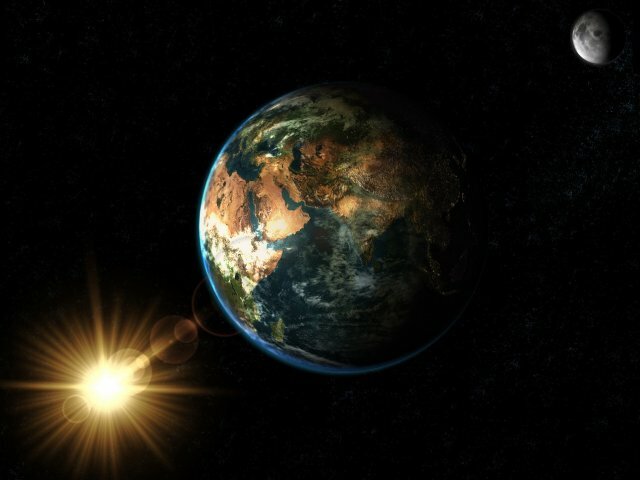 Finally, this month also features Sun-Earth Day, a day that educates people about the sun is a powerful source of energy for the earth. This month is quite eventful to say the least! So how exactly can you promote being green this month to make mother earth smile? 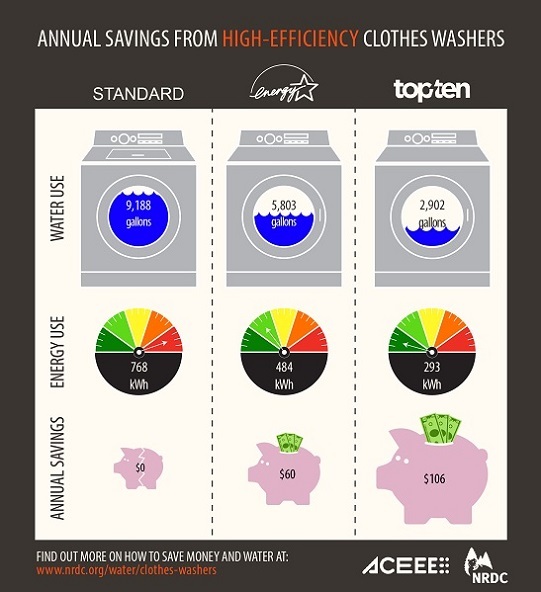 Opt to improve your energy efficiency when you wash a load of green clothing! It seems that Energy Star’s most efficient washers are front loaders! Their design features a short central agitator, which reduces the level of water consumption. 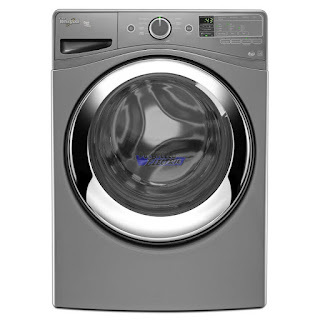 In fact, it seems that the average Energy Star- certified washer will cost $85 a year to run. Despite the fact that one has a green washer, it might be a good idea to verify its effectiveness as well - no one wants to find their shirt shredded. Also, most of the highest performing washers come with a price tag. Although some of them can be quite pricey, your savings will result in the long-run. The idea is to do your research by looking at the latest tested models via consumer reports. That way, you can find the middle ground between, energy efficiency, effectiveness and price point. Unfortunately, dryers do not get an Energy Star rating for the time being. We have yet to figure out how to create hot air inexpensively. Therefore, the focus has been shifted to doing wonders with washers. 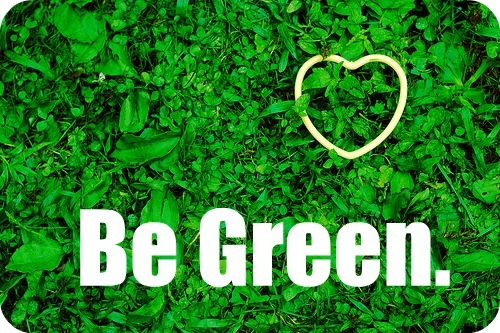 So be green this March!